Note:Adjust the automatic transmission range selector cable whilethe transmission and the gear selector are in the Park positiononly. Failure to do so may cause mis-adjustment. 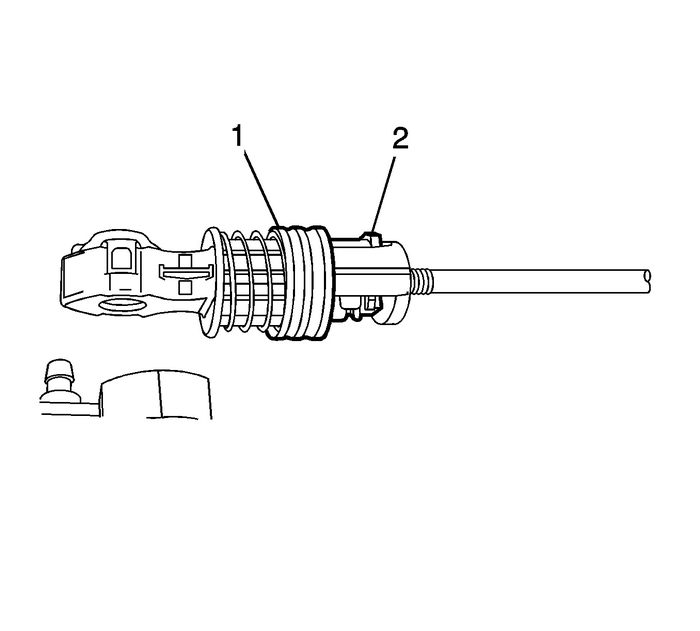 Set the park brake and chock the wheels.Verify the transmission range select lever is in the parkposition.Verify the transmission manual shift lever is in the parkposition. 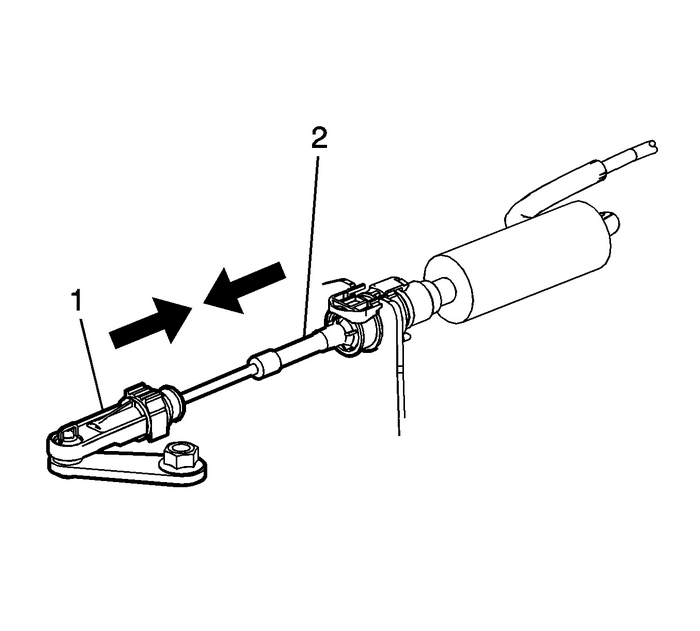 Pull the retaining collar-(1) forward, thenrelease the range select cable adjuster clip-(2). Slide the two halves-(1, 2) of the range selectcable together until all free play is removed. Depress the adjuster clip-(1) locking the adjusterclip completely, then release the retaining collar.Pull both halves of the range select cable in oppositedirections to verify the cable adjuster is secured.Check the transmission range select lever in all gearselections for proper operation.